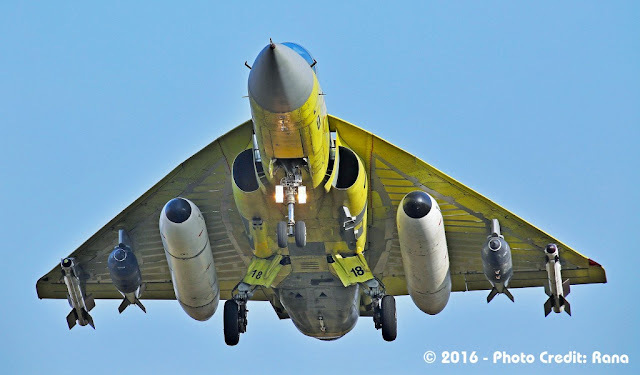 Swedish defense firm Saab requested to assist in the LCA program, to resolve the problems in the Tejas and to produce upgraded variant of Tejas called MK 1 A. IAF already orderd 20 Tejas from HAL, which has no real fighting capability nor any guided launching capability. IAF looks for a upgraded Tejas which can capable to perform BVR missile firing along with internal EW suites to fight in modern battlefield. The IAF has an requirement of more than 300 light aircraft similar like Tejas, However due to the issues in Tejas, IAF ordered 40 units, later decreased into 20 units due to its incapability to fight in modern battlefield. Since the first batch of twenty aircraft's don't have any real fighting capability, rather than just being used for training purpose. Tejas don't have BVR firing capability, no proper electronic warfare suites, no air fueling capability and very low combat radius. Due to this backlogs IAF is not ready to use the Tejas, since concerns raised by IAF, ADA and DRDO offered a modified Tejas under MK 1 A program, since Mark 2 program is long way ahead. Under the MK 1A, Tejas comes with much sophisticated suites like, BVR missile firing capability, Modern Israeli AESA, advanced internal EW suits and much needed aerial refueling capability. IAF and Ministry of Defense set timeline of 2018 to produce those aircraft, and IAF plans to order some 100 MK1 A units. HAL and DRDO tried to work with the imported missiles, radars and interface systems to modify the Tejas. However they failed to achieve it in scheduled time, and they faced huge cap in technology, So they looking for a foreign partner to help to overcome from the issue. Saab is the one who is a world leader in aerospace and defense, who tries to push the Gripen to IAF many times, since IAF and ADA fears bringing Gripen can end the Indian development of Tejas. and IAF also rejected Gripen many times. Now again ADA and DRDO looks into Saab to assist in the Tejas development. by this means Saab will try to modify the entire Tejas air frame to accommodate modern systems and sensors. and help the Israeli missiles and radars to interface with the Tejas computers made by India. Sources close to Economic times said that, First level of talks with ADA/HAL and Saab has been completed, and another high level expertise committee from Sweden will arrive India next week to carry forward the discussion.